Tree removal is very dangerous work and should be left in the hands of our highly skilled tree workers. It is important that these persons be expertly trained, having passion and deep focus with what they’re doing. A single mistake could result in serious damage or injury. 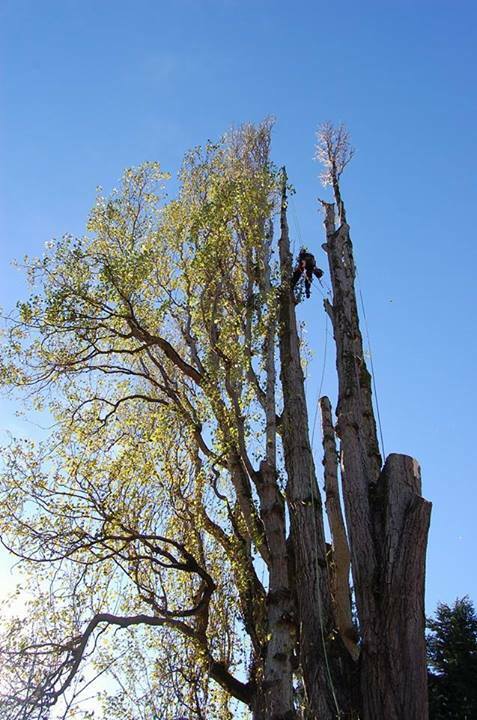 Selecting the right tree company to remove your tree is an important decision. Licensing laws that enforce or monitor safety practices in this industry are absent as of today. Consumers must be careful to identify companies that invest in a culture of safety and those that offer low prices at the risk to their employees and clients. We specialize in low-impact tree removal. In fact, most properties are left in better condition than when we began. Every aspect of a removal from power drops, special equipment, traffic control, set-up procedures and complex rigging systems, to detailed clean up are carefully managed for you. We’re delighted the opportunity to create a removal plan that will have the lowest possible impact on your property. View a start to finish removal from Canopy Solutions below!